Police deputy commissioner Tekolla Ayfokiru is quoted by state-affiliated Fana Broadcasting saying the nine workers were preventing international flights from landing at the Bole International Airport, Ethiopia's busiest hub. Air traffic controllers downed their tools on August 25 demanding a salary increase, improved working conditions and pay for working overtime. The employer, the Ethiopian Civil Aviation Authority, termed the strike as illegal and later said a salary review was ongoing. "Some of the employees engaged in the strike are returning back to their work. The remaining should submit a letter of apology and return to their work. They have until Tuesday (September 4)," the head of ECAA, Col Wesenyelew Hunegnaw said. Following the strike, the Kenya Air Traffickers Controllers Association raised concerns about the safety of Ethiopia airspace at the weekend, saying that "aircraft operating in and out of Addis Ababa are in grave danger as the situation continues to deteriorate." But ECAA rejected the concerns saying it "fully and categorically rejects the false and baseless statements circulated by the Kenyan Air Traffickers Controllers Association." 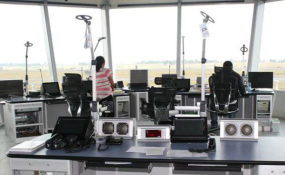 "The Area Control Centre in Addis Ababa is being manned by adequate number of well-trained, highly capable instructors and professionals," ECAA said. This is the second work boycott by the air traffic controllers this year. In April, the airport staff went on strike resulting in dozens of flight being delayed.